As a board-certified cardiologist, it is obvious that the best way to treat heart problems is to prevent them. When it comes to prevention, nothing is more important than proper nutrition. The best foods to eat were available to our distant ancestors. This diet is often referred to as Paleo or Hunter-Gatherer. I find that when my patients follow Paleo, they get tremendous results. Remember, always eat organic. If pesticides kill bugs, they will kill us. Here are my top 10 foods to keep your arteries clean (and even reverse coronary artery disease). Saturated fat does not increase the risk of heart disease, according to an analysis of over 350,000 people in the American Journal of Clinical Nutrition. In fact, muscle meat is a complete source of protein. Organ cuts, such as liver and kidney, are packed with beneficial nutrients like vitamins A and D. Cows are meant to eat grass, not corn, soy, and wheat. Cows are meant to free-range, not be cooped up, stressed out, and under artificial lights. Many cultures from around the world consume animal foods and enjoy incredible longevity. Get free-range, grass-fed meat into your meal plan. 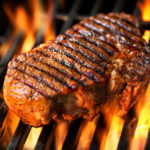 For the best health benefits, eat your meat medium-rare. Kale is a dark green leafy vegetable packed with medicinal value. For starters, kale is a great source of fiber, thus improving the lipid profile. Kale contains vitamin K, an essential nutrient that keeps calcium in bones and out of arteries. Kale is a good source of vitamin C which promotes healthy arteries and is an anti-oxidant. Kale contains sulforaphane which appears to lower cancer risk. Eat is raw, steamed, or in a stir fry. We put it into our salads. Boiling leaches nutrients out of any food. Our 8 year old son eats kale with his school lunch! Start ’em young. Beets are a wonderful food that reduce the risk of heart disease. They normalize blood pressure because they contain nitrates. 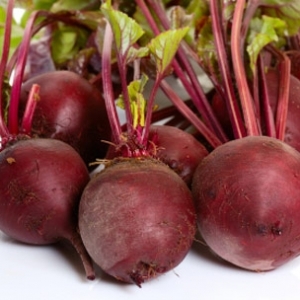 Just like the pharmaceutical nitroglycerin, beets open up blood vessels and improve flow. Beets reduce homocysteine, an amino acid linked to heart disease and dementia risk. Beets are loaded with anti-oxidants and naturally thin your blood by inhibiting overactive platelets. Beets even improve exercise performance. Eat them raw or cooked. Beetroot powder 2x per day is on my prescription list. Make sure they are organic, as beets are a common genetically modified food. This blue-green algae is one of nature’s superfoods. Chlorella cuts the risk of heart disease by reducing oxidative damage of tissues. It improves blood pressure control and stroke risk. Additionally, chlorella lowers cholesterol, triglycerides, and blood sugar. It binds heavy metals so use it daily and especially after seafood. 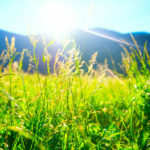 Chlorella contains chlorophyll, the energy harnessed from the sun. Good stuff. I add our Superfood to my greens drink every morning. When it comes to fat, there’s one type you don’t want to cut back on: omega-3 fatty acids. Cut back on vegetable oil but not the quality fats only found in fish. Wild salmon is our favorite, but anchovies also provide plenty of omega-3’s. Check out this recipe for salad dressing made with anchovies. Two crucial omega-3’s are EPA and DHA, which lower the risk of heart disease, improve heart rhythm, and also help with depression, dementia, and arthritis. If you don’t like fish, make sure you take omega-3 DHA oil. Avocado is a great source of vitamin C, fiber, magnesium and potassium. These elements are crucial to good health. Vitamin C is an antioxidant which blocks free radicals damage. Free radicals speed up the aging process. The fiber in avocado helps keep cholesterol in check and prevents colon cancer. Potassium is important because it plays a role in every single heartbeat and every muscle contraction. Without potassium the heart would not be able to squeeze and pump blood through your body. It is also good for muscle movement, nerve and kidney function. 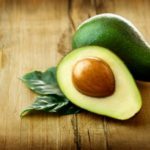 You get all of these benefits and more from avocado. Multiple studies have shown eating nuts and seeds are heart healthy. In fact, those who eat the most of these foods have the lowest risk of a heart attack or stroke. Almonds are a delicious snack and are excellent added to a salad. In fact, most mornings I make a nut “cereal” with almonds, pecans, coconut flakes, and homemade nut milk. Blend almonds and water to make the nut milk. Store in the refrigerator in a glass bottle for up to 5 days. All nuts and seeds are great except the peanuts. Peanuts are actually a bean and wreak havoc on your digestion and cause many allergies. Almonds are high in the heart protective anti-oxidant vitamin E.
Broccoli is rich with phytonutrients and antioxidants along with other vitamins. Phytonutrients are not as essential to the body as most vitamins but is a great way to prevent disease and keep the body working properly. Antioxidants are the most important element within broccoli. As stated earlier antioxidants slow down the aging process and help keep your body clean of toxic free radicals such as tobacco smoke and radiation. Eggs are one of nature’s perfect food. 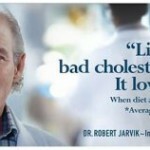 They contain cholesterol but do not cause heart attacks. In fact, those who eat the most amount of eggs enjoy the best health. Eggs raise HDL to fight heart disease. 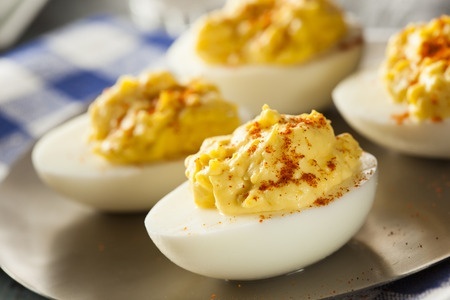 Loaded with choline, eggs are great for your brain. An egg is like a multivitamin, after all, it brings a chicken to life. Fry them in coconut oil on low heat or slowly boil. This superfood is truly egg-ceptional. A staple of the heart healthy Mediterranean diet, olive oil, and the olives themselves, need to be on your menu. Olive oil contains high levels of heart-healthy monounsaturated fats. 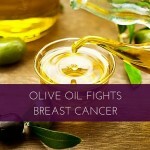 Olive oil also has endless anti-inflammatory and anti-hypertensive effects. We add it to salad and never heat olive oil. Buy organic olive oil. Bonus feature: Spices- Enjoy thyme, rosemary, oregano, sage, cumin, celery seed, marjoram, saffron, etc. All spices are nature’s Farmacy to balance the body and prevent disease.